I will be giving a gallery talk on my project “Forgotten Places: North Dakota” at the Washington Street Gallery and Gift on Thursday, June 16. The reception will be from 5-9pm in conjunction with the Charles Town “Third Thursday” promotion. I will give the gallery talk at 7pm about my travels to photograph in North Dakota last year. In addition, I will offer a special selection of prints, including special print folios, available as well as copies of my new book of the images from the project. 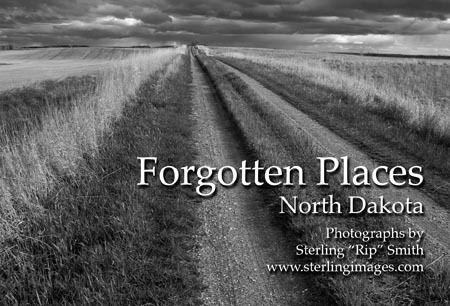 I am very excited to announce that I will have my first solo exhibit of prints from my “Forgotten Places: North Dakota” project, which will be displayed at the Delaplaine Visual Arts Education Center in Frederick Maryland. The opening reception will be on Saturday, August 13 – details to follow. ~ by Admin2 on June 3, 2011.